Google Pixel 2 XL Price, Review, Deals, Cost, & Sales! Home / Compare Cell Phones / Google Pixel 2 XL Price, Review, Deals, Cost, & Sales! The Pixel 2 XL is Google's second iteration of its Pixel device and is packed with a number of smart features and premium specs making it a heavyweight contender in its class. It comes with a 6" P-OLED screen technology with 1440 x 2880 pixels at 538 PPI encased in a Gorilla glass 5 and has a pixel density of 538 PPI. In comparison, the Pixel XL has a 5.5" AMOLED display with 1440 x 2560 pixels, Gorilla glass 4 and a density of 534 PPI. The Pixel 2 XL comes with a 12.2 MP f/1.8 rear camera capable of recording 4K videos at 30fps. It also has an 8 MP f/2.4 front camera that is able to record HD videos. For the onboard drive, the Pixel 2 XL comes with 64 GB internal memory with no expandable memory slot. While the Google Pixel XL comes in with 32/128 GB internal memory variants and also has no expandable memory slot. The Pixel 2 XL has dual front-facing stereo speakers located at the top and bottom. Audio quality is excellent and is very loud. It has a rear-mounted fingerprint reader. It is mostly accurate and is one of the fastest fingerprint scanners on the market. The Pixel 2 XL runs on Qualcomm Snapdragon 835 Octa-core (4x2.35 GHz Kryo & 4x1.9 GHz Kryo). Performance is magnificent and is very capable of handling heavy applications without issues. While the Pixel XL runs on Qualcomm Snapdragon 821 Quad-core (2x2.15 GHz Kryo & 2x1.6 GHz Kryo). Powering the device is a huge 3520 mAh battery. Talk times can last up to 26:58 hours over 3G, 10:29 hours surfing the web and 11:45 hours video playback. It has fast charging via USB type C cable but no wireless charging. 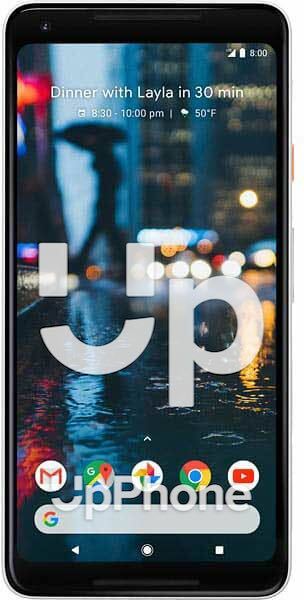 The Pixel 2 XL is rated IP67 making it dustproof and water-resistant for depths of up to 1 meter for 30 minutes. It has a new feature called now playing that is constantly listening in the background and whenever it hears a music playing, it will instantly show the title and artist in the notification screen. It has a squeeze feature located at the lower half of the phone that launches the Google Assistant when a considerable pressure is applied. It has an always-on display which comes in handy for notifications and timekeeping. The Pixel 2 XL has a single camera but it does a fantastic job than any other smartphones with dual cameras, thanks to its software which made it all possible. It has an aluminum case at the back that is covered with a grippy plastic coating. It still has the twist feature where users have to twist their wrist back and forth, kind of like opening a doorknob, and the camera will switch from the front to the rear and vice versa.